Entrepreneur's experts show you how to boost your bottom line with credit and collections Proper credit and collections policies are essential for a small business. They allow a business to make more money--even without making more sales--by more efficiently collecting from customers. 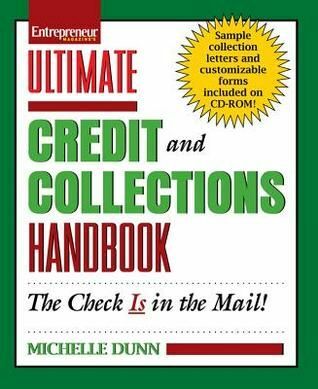 "Ultimate Credit and Collection Handbook" teaches you how to create or improve a credit department, maintain a credit policy, and avoid bad debt. It includes up-to-date information on relevant state and federal laws.